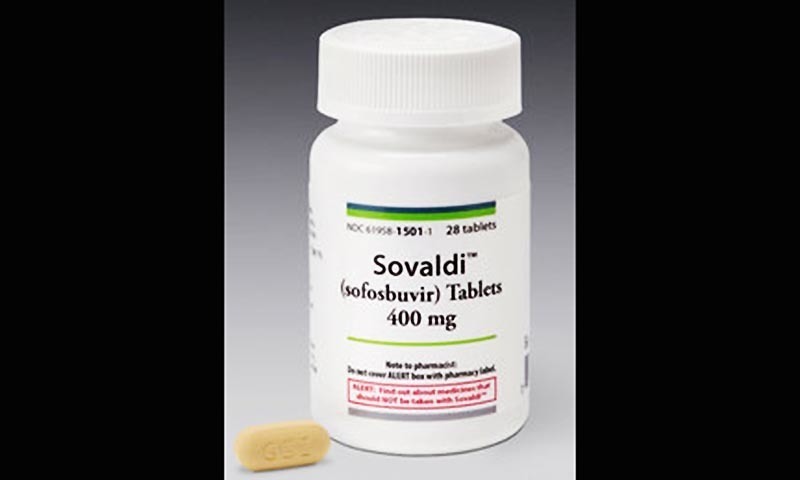 At issue is sofosbuvir by Gilead, marketed in the US as Sovaldi, where it became famous for costing $84,000 for one course. The drug is considered highly innovative and effective. Malaysia issued a compulsory licence on sofosbuvir in 2017. The Pharmaceutical Research and Manufacturers of America (PhRMA) this week urged the US Trade Representative’s office to put Malaysia in the category of the worst violators for not adequately protecting US intellectual property because it issued a compulsory licence allowing Malaysian government-linked labs to produce sofosbuvir cheaply for domestic patients. PhRMA made the request in its submission to the annual USTR Special 301 process. Compulsory licensing “creates significant uncertainty for biopharmaceutical innovators and harms patients by undermining incentives for future research,” PhRMA Senior Vice President for International Advocacy Brian Toohey said in the release. Governments are permitted to issue compulsory licences under the World Trade Organization Agreement on Trade-Related Aspects of Intellectual Property Rights (TRIPS), considered one of the built in “TRIPS flexibilities”. But nothing in TRIPS prevents others from pressuring such governments not to do so, and developing countries have faced intense lobbying and criticism when they use the measure. A UN high-level panel studied the matter and determined that people in developing countries are struggling to access medicines due to high prices, and that governments are facing undue pressure in acting to address the problem. Knowledge Ecology International has documented the timeline of coordinated pressure on Malaysia by the US industry and government over the compulsory licence issued in 2017. Malaysia has a voluntary licence with Gilead but felt it was not sufficient to ensure lower priced medicine. “In Malaysia, even though we fall under the voluntary license, the uncertainty of marketing approval by drug regulators was a possible delay in accessing affordable sofosbuvir. Instead, it was important to use a compulsory license to fully guarantee affordable treatment for people with hep C,“ Edward Low, director, Positive Malaysian Treatment Access & Advocacy Group, said in a statement in December asserting that 5 years since Gilead came on the market, the vast majority of those suffering from the disease in the world remain untreated. Médecins Sans Frontières/Doctors Without Borders (MSF) is an independent, international medical humanitarian organization that provides emergency medical assistance to populations in distress in more than 70 countries. To make it feasible to treat patients with quality medicines from more affordable and accessible sources, we rely overwhelmingly on generic medicines. We are writing to express our support for the “government use” license to accelerate the Malaysian Ministry of Health’s efforts to scale-up HCV treatment, enabling procurement of generic sofosbuvir for availability in public hospitals throughout the country. Direct-acting antiviral medicines (DAAs) such as sofosbuvir represent a treatment breakthrough for people with chronic HCV, with cure rates of up to 95%, with far fewer side effects than previous treatments. In many of the countries where we work, MSF is able to provide generic DAAs at $120 per 12-week treatment course of sofosbuvir and daclatasvir, sourcing these two key HCV medicines from quality assured generic manufacturers in Egypt and India. Following the adoption of the Doha Declaration on TRIPS and Public Health in 2003, Malaysia became the first country to issue a compulsory licence on a medicine to treat HIV. Similarly, in 2017, it was the first country to issue a government use license for HCV treatment. These decisions illustrate the Malaysian government’s commitment to provide lifesaving medicines to its people. We would like to express our solidarity and support to the Malaysian government in continuing to reject any pressure from pharmaceutical corporations or their political allies, to reverse the government use license. Such pressure violates the integrity and legitimacy of the system of legal rights and flexibilities created by the TRIPS Agreement, as reaffirmed by the Doha Declaration for WTO members to meet their rights and public health obligations. As you are aware, the United Nations Secretary-General’s High-Level Panel on Access to Medicines (HLP) has recognized the problem of access to medicines as a global issue by in 2016. As low to high income countries across the globe continue to face significant difficulties with the excessive pricing of medicines by the industry, we commend the Malaysian government’s leadership role in supporting innovation and development of more affordable medicines towards, addressing the HIV and HCV epidemics. "Malaysia Still Under Pressure To Make Hepatitis C Medicine More Expensive" by Intellectual Property Watch is licensed under a Creative Commons Attribution-NonCommercial-ShareAlike 4.0 International License.